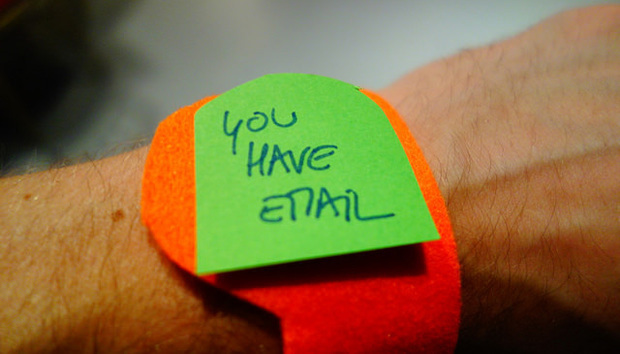 Are Enterprises Ready For Wearables? Analysts predict the wearables market could be worth in the region of $18 billion by 2019, with over 100 million devices being shipped annually. Most of the focus has been on the mass market; when will these devices become fashionable, will Will.i.Am make these devices cool, things like that. But what about the enterprise? Which devices will take off, in what industries, and what might a new wave of devices mean for IT? We talk to FrontRange CMO, David Puglia, about which enterprises need to worry and how they can cope with the wearables influx. Are organizations ready for wearables, and what are the biggest challenges they are going to pose? As businesses start to incorporate these disparate wearables into their workflow processes, there is much more at stake than simply introducing a new screen. It’s a fundamentally new user interface and user experience (that will function very differently than a phone/tablet). There are new inputs (force as well as touch), new inter-device communication modes, and new data points that phones have never been able to collect (e.g. heartbeat monitoring). Balancing an employee’s device freedom and the need for corporate control, security and compliance will continue to be a challenge. Organizations need to go beyond device control and configuration: surveys indicate that while 60% of organizations consider mobile management important or critical to their business, only 15% of enterprises are prepared to meet increasingly demanding mobility management and wearable technology requirements. Assuming people are bringing their own wearables to the workplace in the same way they bring mobiles, what challenges does that pose to IT? If wearables become part of the extended “edge network” of current enterprise devices and applications there is the potential that more endpoints raise the security risk. Coping with “gadget sprawl” is an emerging IT challenge, and forward-thinking organizations are already bracing for impact. Legacy service desks have been structured to manage thousands of servers, PCs, tablets, notebooks and smartphones. Wearables in the workplace means the number of additional wirelessly connected devices will mushroom beyond this level and enterprise mobility management platforms will be put to the test. IT needs to evolve from simply being a tactical service to a strategic business enabler. What are the biggest use cases you see for wearables in the enterprise? Like all disruptive technologies, wearables will benefit certain industries immensely. I foresee wearable devices exploding in vertical markets including healthcare – which is likely to see a sharp increase in prophylactic therapy, outpatient, and preventive medicine – as well as manufacturing, retail and law enforcement, where the benefits of hands-free technology are essential. Wearables could also seriously challenge the status quo and substantially enhance process efficiency, dramatically improve customer experiences and elevate worker safety in hazardous work environments. They may serve as an alternative to credit and debit cards and further disrupt the payment industry. We are already seeing this with Apple Pay and the soon-to-be released AppleWatch. Apple, Google, Baidu and a host of others are all releasing watches, headgear and other devices - which companies do you think will become leaders in enterprise wearables? Most likely there will be a plethora of new entrants into the wearables market with the Internet of Things being a major driver. Many wearables need a “link” to the network and applications and that common link is usually the smartphone or tablet. Expect to see new entrants and wearables that are directly linked to home and enterprise networks or untethered to current devices such as smartphones. While many companies such as Google, Apple, and Samsung will be initial market leaders, expect to see many innovative upstarts that will introduce disruptive products in multiple vertical markets. Salesforce.com recently announced its "Salesforce Wear" developer program - which companies do you think need to follow suite for wearables to really take off in the enterprise? One way of thinking about this question is “Does the wearable device enhance the user experience of an enterprise application such as SFDC?” Many wearable devices, such as the AppleWatch, are ideal for receiving notifications from various applications. Google Glass has the potential to extend enterprise applications beyond simple notifications and enable real-time collaboration in service request or medical applications. This is directly analogous to the extensions of enterprise applications to smartphones and tablets that required a new UI and user experience. What about VR tech such as Oculus Rift? Is that something organizations should bear in mind for the future? VR applications have been used extensively in the past. For example, the defense and transportation industries already use VR for training. Oculus Rift is a product that could provide a market disruption to bring more VR applications to the enterprise as an extension to a complex product for both training and service. For certain industries beyond entertainment and gaming, this could be a positive disruptive technology that could add significant value. What does FrontRange offer when it comes to wearables and their management? FrontRange offers organizations a unified platform that enables Unified Endpoint Management (UEM) that allows the management of all enterprise endpoints. As wearables migrate to the enterprise the UEM management platform will evolve. FrontRange provides an organization with a way to deliver and support IT services that can effectively harness data collected from all intelligent devices populating the Internet of Things, including wearable technology. Do you personally own any wearables? Yes, I have many fitness wearables – Fitbit, Garmin GPS watch and a Garmin Powermeter. Modern athletic training has been transformed by these wearables. I use these devices to train and compete in Masters’ racing events such as cycling. All these devices are linked to applications for training that I’ve got on my smartphone, tablet, and web. The types of data collected and analyzed include heart rate, power, speed, distance, calories burned, location, percentage grade, training stress, sleep, and more. Are people within FrontRange using wearables? A growing number of FrontRange employees are also using wearables, mostly for health and fitness experiences at this juncture.